Pre-Registration: Pre-register by mail (entries should be postmarked by March 3). 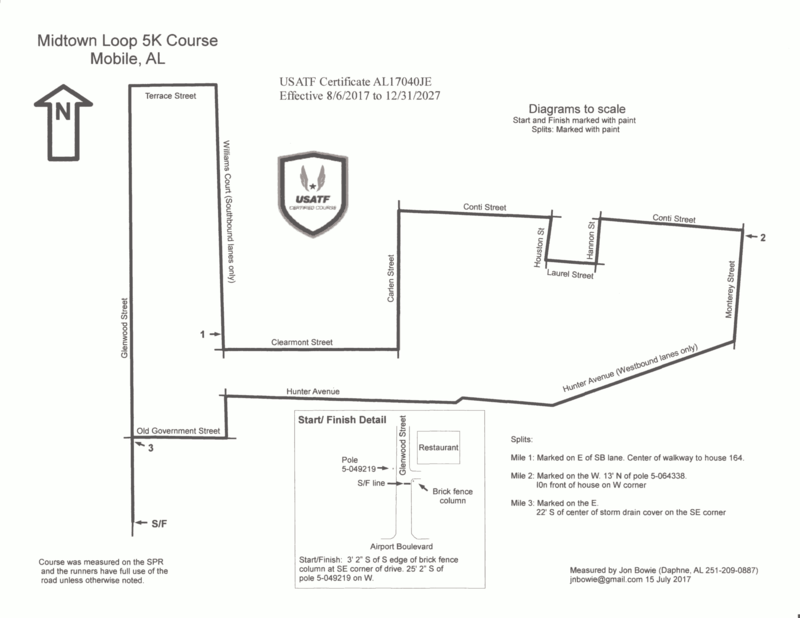 In person at McCoy Outdoor, Run-n-Tri, or Fleet Feet in Mobile or Running Wild in Fairhope by noon on March 8. Post-Race: Food and beverages will be available for purchase after the race. All registered participants will be eligible to win many fantastic door prizes. Live music to follow race. Complimentary beer available for registrants 21 or older.